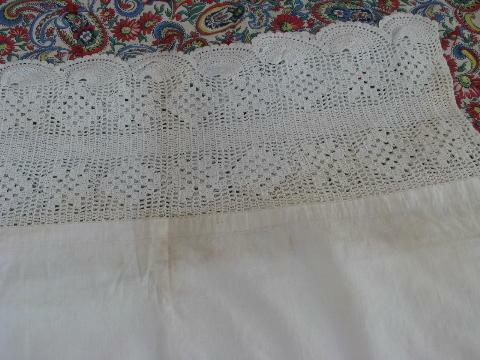 Early 1900s vintage bolster pillow cover, an open-ended tube shape made of white cotton fabric, edged with wide handmade crochet lace trim. 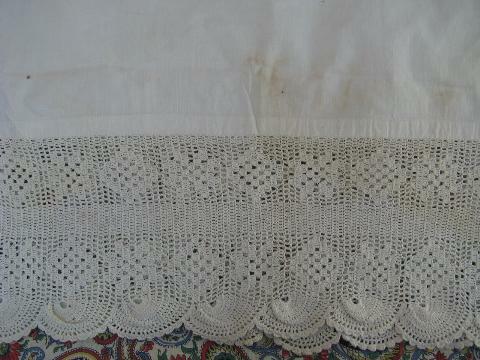 This measures 24" wide x 68" long over the fabric, with lace edging 7 1/2" deep at either end. 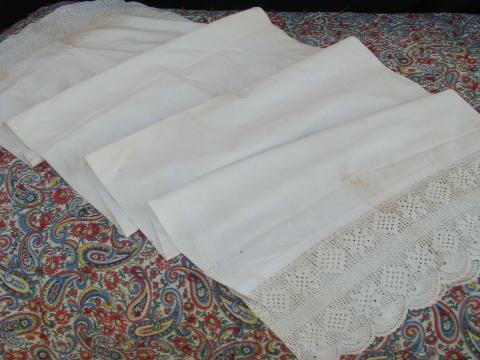 This is lovely old piece, and doesn't look to have had much (if any) use, but there is some browning and age discoloration, especially to the fold lines. 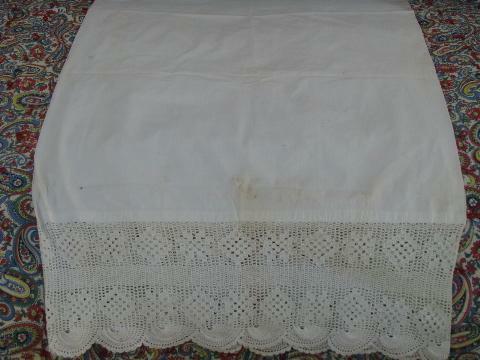 The fabric and edging are soft nd supple, and look as though they should clean up nicely - we haven't washed or soaked it.